An engineer from Argentina, Rodolfo Cossovich, collaborated with Netspring to launch a pilot class of teaching pupils to use Scratch® coding software in a migrant school in Taicang. The teaching program lasted for 3 days in Sangang Elementary School, Taicang. . Over 10 students from Grade 4 and Grade 5 in the school joined in the program and learnt to create basic computer games built on stories and animations they had designed themselves using the software. The experience proved to be invaluable in terms of teaching and learning during this pilot program and has better prepared Netspring with the planning of its nationwide Scratch coding contest to be launched across the schools in which it had Green IT classrooms in October this year. Netspring went to Yioulai Shopping Street in Suzhou for a 2-day donation drive activity open to Amcham members in Suzhou area. This joint activity has been held for several years between Netspring and Amcham. The used or spare electronic goods donated by Amcham members such as computers, projectors, and screens have been put into use in dozens of green IT classrooms across China. Following the success of 2015 drive, AmCham and Netspring decided to open more dropping points and to run the drive on 2 days instead of one. In the previous three years collaborating with AmCham, Netspring has received over 1235 used computers, refurbished 827 sets of computers, and supported 30 schools and community centers by setting up Green IT Classrooms for about 13694 underprivileged students. In addition, the e-waste has been properly handled and recycled in an eco-friendly manner to prevent any harm to the environment. Netsrping went to the Wellington College in Shanghai to receive the donation of over 300 kg used electric goods from “Friends of Wellington” and Wellington College. “Friends of Wellington” is a network founded when the school opened its doors in August 2014. The group consists of parents, teachers and members of the community. A group of DTZ employees went to Chengdu Yuren Elementary School to set up its Green IT classroom for the underprivileged children of migrant workers. The school headmaster Meng, DTZ China CEO- Zhang Guozheng, and officials from the local education bureau made speeches respectively during the opening ceremony. DTZ entered the China market long ago with a mission to launch a large scale urbanization project. Previously, DTZ conducted a survey on migrant worker children in different cities across China. The survey shows that migrant workers lead hard lives in the cities they move to,,and their children do not enjoy full citizenship rights. Most of the migrant workers’ children face challenges after the 9-year compulsory education program such as relocating to their hometowns for further studies, or dropping out of te formal education system. On June 1st, the Netspring team set off to Nanchong with the purpose of revisiting one of PwC (Price Waterhouse Coopers) sponsored mountain village schools and holds an IT activity with three corporate volunteers from PwC to celebrate nationwide Children’s Day. For the activity, Netspring gave training to the volunteers using materials created by Thirst for Water, an NGO based in China that promotes awareness about water conservation. The next morning, Netspring and PwC set off on a three hour journey from Chongqing to the countryside surrounding Nanchong. Xincitang Primary School is located in a stunning hillside village, and is the school of 58 local village children. We were warmly welcomed by the headmaster who drove down the winding alleyways on his scooter to meet us at the foot of the hill and help us find our way to the school. When we finally arrived, we were greeted by the curious children who were eager to talk and show us around their school. On 18th of May, 15 volunteers from Owens Corning made the long trip to Bozhi Migrant School located in the outskirts of Beijing, to mark the opening of their new Green IT classroom. The company volunteers came from Tianjin, Beijing and Shanghai, holding two activities at the school: an IT class in the new computer room, followed by a handicraft activity. 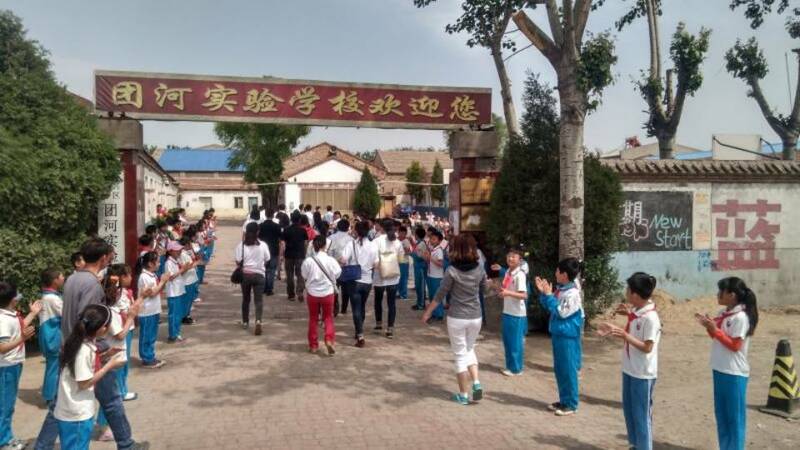 Located in the remote area of Beijing, Bozhi school is a non-governmental funded school severing the children of Beijing’s migrant population - the thousands of unregistered migrant labourers who have flocked to the city over the last decade. Affordable and based in the communities where migrant workers live, the school offers an attractive alternative to the more expensive, government-run schools. Netspring’ s 61st Green IT Classroom has been set up! On May 10th, 23 members from AICM set off on a high-speed train from Shanghai to Wuxi Qinghe Migrant School with a common purpose: establishing a Netspring Green IT classroom for migrant children. The visit began with a meeting with school principal and his team, during which the managers of AICM were clearly impressed by the headmaster’s commitment to equal education for migrant children over the years. 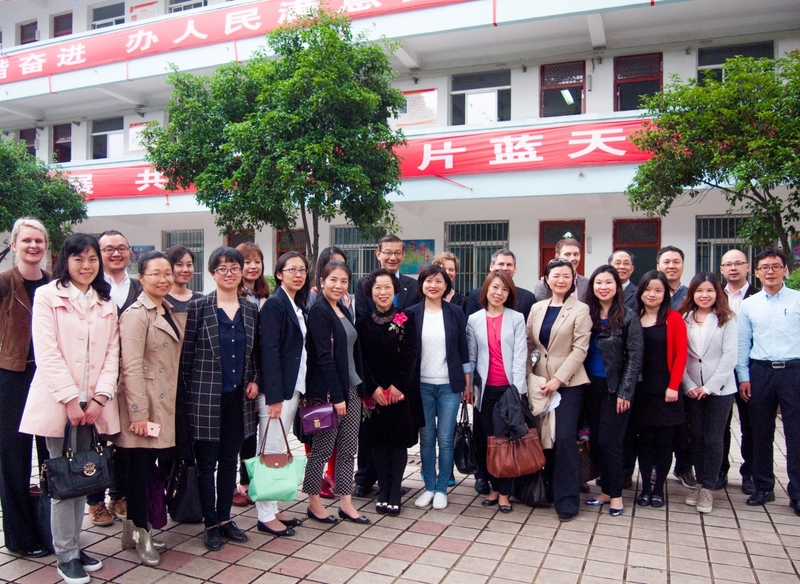 On 4th of May, 22 volunteers from DTZ Cushman & Wakefield embarked on a bus to Beijing Tuanhe School, a primary school located in DaXing District. They were to join in the unveiling ceremony for the “DTZ Cushman & Wakefield Green IT Classroom” and to attend a creative IT and handcrafts class with the students in the school. There is no better way to enhance environmental awareness other than letting kids building their own ideal homeland. Last Friday (April 22), DTZ volunteers visited its Extra Curriculum Classroom co-constructed with Netspring. 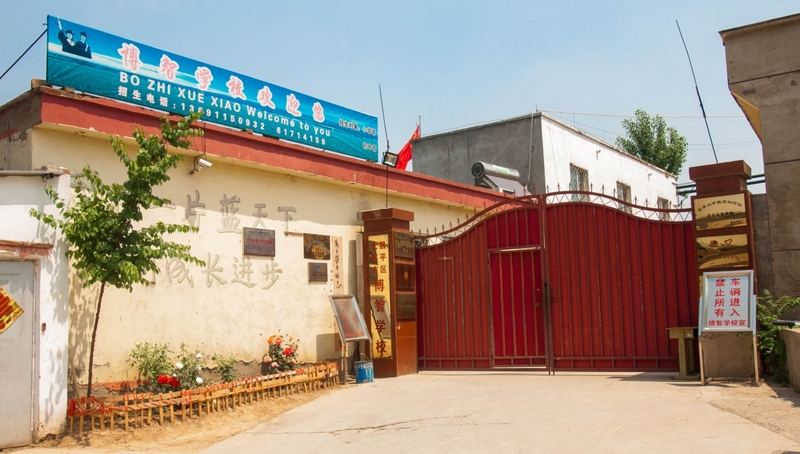 Located in Fengxian district, far away from the centre of the city, Fusing school has been chosen as DTZ Extra classroom and DTZ also provides kids with computers and plenty of stationery. Nestpring will be present at AmCham Earth Day to collect your obsolete electronic devices of any type. Please join us at the Plaza at Shanghai Centre as of 2pm.